Okay that was meant to be a comment on your black Friday post. I am not good with my hands. Good grief! Are you recovered? I can’t believe that we have come to this! And it’s even worse that you were not a Black Friday participant but an innocent bystander! I’m so grateful that you took some time out of your busy day to write this post! You and I have the same sort of internet, and isn’t that great?!? 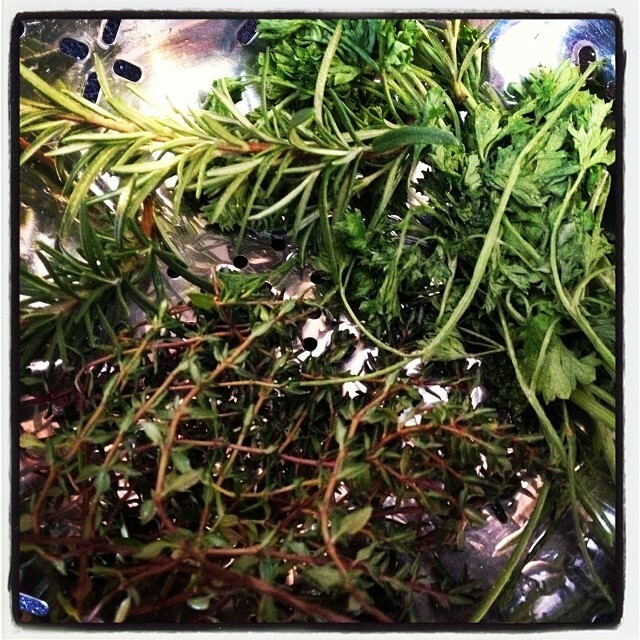 Your herbs look fabulous! We just had a tree cut down this fall, which will give our yard much more sun. I’m exciting about the possibility of having my own garden next spring! Thanks for linking up to the Spin Cycle! I wholeheartedly agree. My internet is the same. I guess you get what you give, right? And I’m also writing from my kitchen counter, and I’d best go baste the bird. I wish I had your cheese plate! I am thankful that you linked with The Spin Cycle!